This exhibition looks at the relationship between two titans of art with respect to their early works. 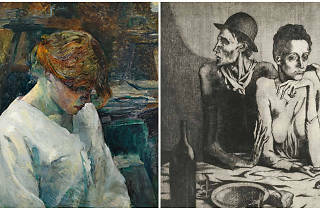 Although in 1899 Pablo Picasso was linked to 'Els Quatre Gats', a group of avant-garde writers and artists in Barcelona related to modernism and decadentism and influenced, among others, by Toulouse-Lautrec, it wasn't until 1900-1904, when the Spanish painter lived intermittently in Paris, when the artistic confluence between the two really materialized. 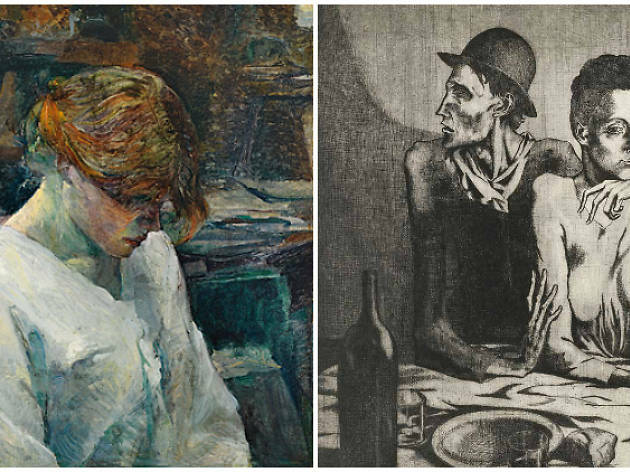 The years in Paris themed Picasso's painting, obsessed as he was by the city's underworld, the nocturnal atmospheres of cafés with live music, and the work of Lautrec. A must.